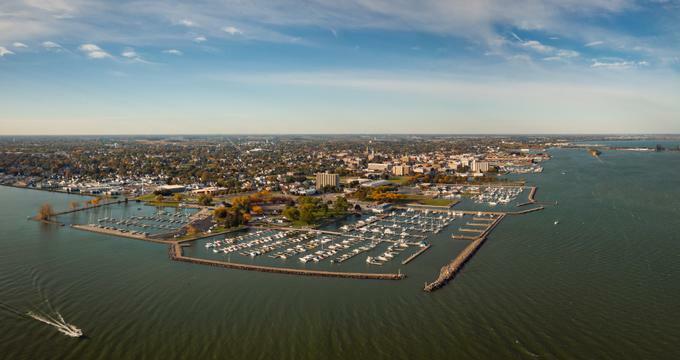 Sandusky, Ohio, located on Sandusky Bay, has more than 22 miles of shoreline within the city limits in addition to beautifully landscaped parks, historical architecture, and many tourist attractions. These range from waterparks and boating to museums and wildlife, meaning there is a lot to do in Sandusky, Ohio as well as	numerous great places to stay and eat. With so much to do, families and couples alike will want to ensure they have plenty of time to do all the activities. Plan ahead and bring your sunscreen, so you don't miss out on anything. Castaway Bay is more than just a resort waterpark; it's a tropically themed paradise featuring 237 hotel rooms and suites, a 38,000-square-foot indoor waterpark, a 6,000-square-foot arcade, three restaurants, retail shops, a fitness center, and a craft and child activity center. Very family oriented, the park is adjacent to a marina and has space for meetings, events, and parties. One of the closest hotels to Cedar Point, Castaway Bay's rooms and suites feature private decks and balconies, flat-screen televisions, and free Wi-Fi. Rooms also have microwaves, mini-refrigerators, and coffee makers. There is something for everyone at Cedar Point Amusement Park. Featuring roller coasters, rides for thrill seekers, and kid-friendly rides, families will have a blast at the Roller Coaster Capital of the World. Travelers will be delighted to choose from one of several overnight accommodations nearby; you can camp in a tent or an RV, or stay in hotel. Sports enthusiasts will love Sports Force Parks at Cedar Point. Newly opened, this sports center is a recreational development not far from Cedar Point that hosts sports tournaments and offers families even more activities, such as mini golf, a trampoline play structure, and a rope course. Open seasonally, the Eleutheros Cooke House and Garden offers free admission to visitors interested in learning about Sandusky's history. Constructed between 1843 and 1844, the house was built by Eleutheros Cooke, Sandusky's first lawyer. The home was purchased by Attorney Rush R. Sloane in 1878, at which time it was completely dismantled and reassembled at its current location. 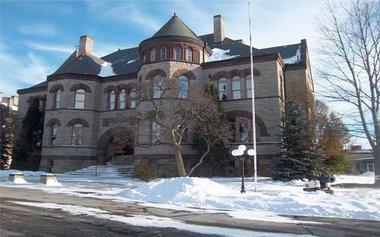 The property changed hands several times between 1878 and 1994, when the home and its contents were left to the Ohio Historical Society. Visitors can experience the home much as it was when its final owners, the Dorns, lived there. It's an experience the whole family will find interesting. 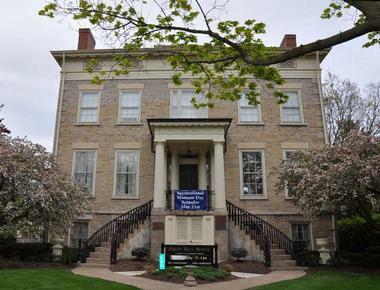 Admission is free to the Follett House Museum, which documents the history of Sandusky and Erie County by offering a collection of artifacts from Sandusky's earliest times. The Greek Revival home offers panoramic views of Sandusky from a widow's walk and insights into important history points, such as the Battle of Lake Erie and Johnson's Island Prison. There are four floors in the museum, each floor containing exhibits that tell another piece of Sandusky's history. Learn what domestic life was like back then, about business and industry, and how tourism has evolved. Open since 2007, Goodtime Lake Erie Cruise is a family-owned business. 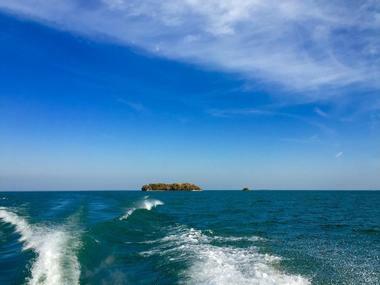 Guests may choose from five options, including the family-friendly option of the Daytime Island Hopping Cruise (appropriate for all ages). Adults can enjoy the Sunset Bay Cruise, which operates Tuesday and Thursday evenings and provides entertainment as well as happy hour specials. For something a little more unique, take the Wine Wednesday Cruise and taste five different wines and snack on complimentary hors d'oeuvres. The Friday Night Party Cruise will have everyone dancing and indulging in some fun. Consider it a floating night club. Specialty cruises are also offered during summer and fall. 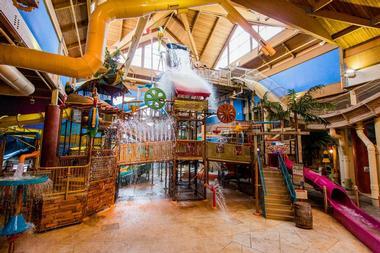 The Kalahari Waterpark is fun for all ages. In addition to the indoor waterpark, visit the Safari Outdoor Adventure Park and outdoor slides. Rent a cabana or bungalow, visit the spa, or participate in one of the many daytime activities on the schedule. There's plenty to do and see here, including the Candy Hut, where you'll find hand-dipped chocolates, caramel apples, homemade fudge, salt water taffy, and more. You can even order a basket ahead of time to have it waiting for you and your family when you get to your room. No one gets bored at Kalahari Waterparks! Lagoon Deer Park houses animals from Europe, Africa, and Asia as well as both South and North America. 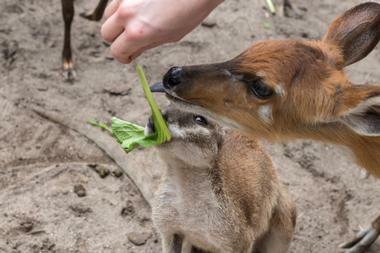 Feed the animals by hand as you make your way through the park; you might even have some animals following you. There is also a new gift shop on site, where you can buy souvenirs, collectables, and handcrafted items. The lagoons are a shady place to fish in a calm environment, great for catching rainbows, bullheads, channel cat, white bass, and carp. Junior anglers will have a blast, but you can also bring a flat-bottomed boat if you prefer to be directly on the water. 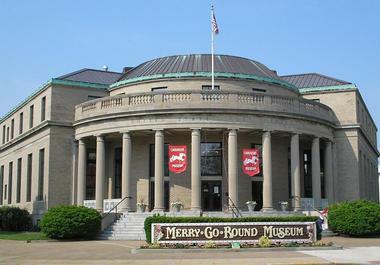 Open 7 days a week, the Merry-Go-Round Museum displays a collection of carousels ranging from hand-carved wooden animals to animals with hand-carved bodies with a cast aluminum head, legs and tail (50/50 or half and half). In 2014, the museum had the great honor of loaning carved and antlered carousel deer to the White House during the Christmas season. First Lady Michelle Obama is pictured next to one of the deer in the East Room of the White House. It is also rumored that some of the items that have been donated to the museum are haunted, and visitors have reported quite a bit of paranormal activity. Don't forget about parasailing during your visit to Sandusky. Everyone in the family ages 6 and up will love it. Enjoy a gentle take-off and landing from the boat deck, and floating high above Cedar Point Beach will be a memory you'll never forget. 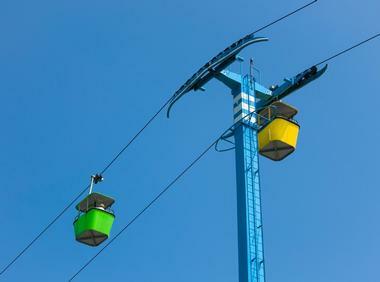 You will also have views of the Lake Erie coast and the amusement park as well as other scenic views. Many people find parasailing to be both relaxing and an adventure. Although walk-ins are accepted, reservations are recommended. 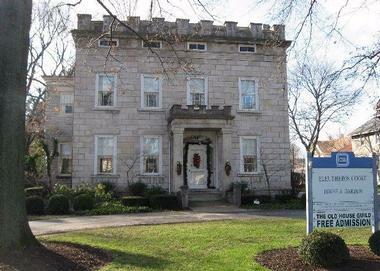 Memorabilia from the Civil War, Johnson's Island, world wars I and II, the Korean War, the Vietnam War, and wars in Iraq and Afghanistan can be viewed at the Ohio Veterans Homes Military Museum, which is located inside the I. F. Mack Building at the Ohio Veterans Home. The veterans home also maintains the museum and reference library, which is dedicated to the residents. Featured objects include a typewriter and table from World War II, a German “Potato Masher” Hand Grenade and, a map of the Korean War. 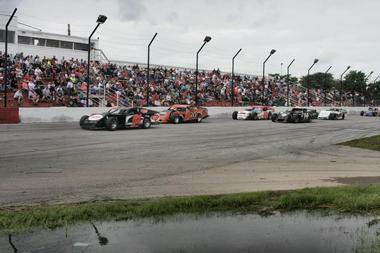 At the Rusty Wallace Racing Experience, visitors can book a ride-along experience on a 3-lap qualifying run, driven by a professional instructor in a NASCAR stock car. Your car will have a motor that was previously used to compete. Lose your yellow rookie stripe and ride shotgun in the ride of your life. 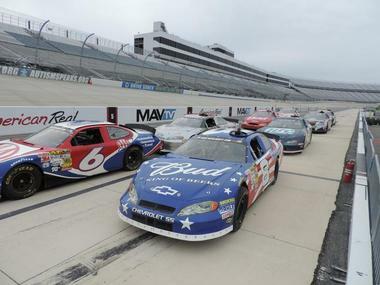 There is nothing like the Rusty Wallace Racing Experience! 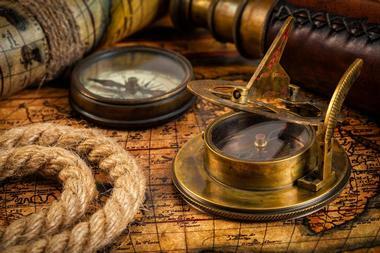 Families can have fun learning about the rich maritime history of the Sandusky Bay area at the Maritime Museum of Sandusky. Interactive exhibits and educational programs will keep visitor's attention while they will learn about the interesting themes showcased here, such as ice harvesting and shipwrecks as well as the Underground Railroad, in which Sandusky played a role. There is even an interactive Kids Zone for the little ones, where kids can build their own boat, play matching games, and complete a maze game. There is also a gift shop. Enjoy everything from mods, sports, street, and hobby races to kid's bike races, kids race car rides, and more. Adults will have a blast with the crate sprints and other activities. There is s $1 admission during Fan Appreciation Night. The speedway even uses race monitors to send timing information to smartphones, allowing absent fans to get live timing and scoring data from the timing system. 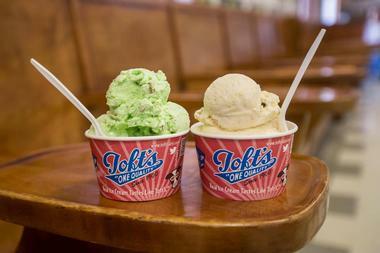 Toft's Ice Cream Parlor is a Sandusky landmark known for its delicious products. What started out as a small family dairy farm in the early 1900s is today a 76,000-square-foot facility. Both locals and tourists enjoy Toft's Ice Cream Parlor, which showcases more than 70 flavors of ice cream and frozen yogurt. Toft's dairy products can also be purchased there. The original soda fountain and parlor seating is still part of the ice cream parlor. Tofts products can be found everywhere from grocery stores and schools to restaurants and ice cream shops. A 30 to 40-minute tour on Lake Erie with Captain Tony is something that the entire family will enjoy. 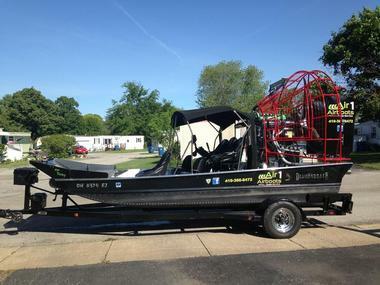 See views of wildlife, beautiful scenery, and Cedar Point on these fast and exciting air boats. Guests may choose a daytime or evening tour, and in the winter time they get the chance to go on a Lake Erie Ice Fishing Charter. The captain is a U.S.C.G. licensed captain and a licensed Ohio Guide on the Western Basin of Lake Erie. There are plenty of big walleye to be had out here!